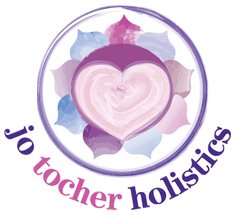 I’d recommend Jo anyone looking for holistic therapy who combines professionalism with warmth and kindness – working with her has been a great experience all round. Jo has such a lot of different techniques and experience at her fingertips (literally!) which means she’s able to offer a totally unique, personal service. I now know what it means to be fully relaxed and am reaping the benefits in all aspects of life – including the best night’s sleep I’ve had in a very long while. Thank you Jo. Sometimes you don’t know you need a massage until you have one! Today I had the most amazing and relaxing Aromatherap massage from Jo. Jo has a calm and caring approach and just intuitively knows how much pressure to apply and where. I felt like I was in safe and professional hands and came away feeling stress free, relaxed and energised. I highly recommend Jo to bring you back into balance. As a busy entrepreneur, my mind is constantly racing with ideas and things to do and coupled with being a mum and running a home, it can become very overwhelming. I had heard great things about Reiki and so decided to give it a try to help me ‘switch off’ and relax and the treatment did not disappoint! Within minutes, my mind had become quiet and the feeling of peace felt amazing. I have since felt much more in control, relaxed and balanced. I’d recommended any one to Reiki – it’s a great investment for your well being and will help you gain perspective in the chaotic world we live in & Jo makes you feel very at ease. My Reiki session with Jo was just fantastic. I started to relax from the minute I stepped in the room, thanks to Jo’s calm and welcoming nature. She listened to my circumstances and made me feel really comfortable and confident about what to expect. Any skepticism I had about Reiki absolutely disappeared that day. During the treatment, I felt both relaxed and energised and, I left feeling radiant and already anticipating my next session. It’s completely evident that Jo loves what she does and that she’s committed to helping people feel better. There is a special relationship of trust that you develop with her and it makes all the difference. I highly recommend Jo’s services – if I could see her every single day, I would! I booked Jo for an aromatherapy massage recently as I had been feeling very tense and stressed, and as a result, the muscles in my neck and shoulders were beginning to seize up. From the moment I entered Jo’s treatment room I began to relax, with a feeling I was in safe hands. After an initial consultation, Jo chose a bespoke mix of aromatherapy oils that would benefit my physical and mental state. I can honestly say, it was one of the best, most relaxing massages I have ever had. I came away feeling lighter and far less stressed, but with more energy than I have had in a long while. I have decided that a regular massage is a necessity, not a luxury, and I have already booked another two sessions with Jo. I thoroughly enjoyed Jo’s relaxation classes. I eagerly anticipated that precious time each week, knowing I would gain new tips and come out feeling amazingly refreshed, with the added bonus of a great night’s sleep afterwards. Thank you Jo ! I am so pleased that I treated myself to some treatments with Jo. I know I find it hard to prioritise spending money on myself, which is craziness given the work I do! Jo is warm, knowledgeable and kind, she is an extremely intuitive healer and I feel amazing after a session with her. It is like there is someone who really cares about my wellbeing and she gives me a little nugget of wisdom to consider each time. I can highly recommend Jo and I am so glad I bought a series of sessions to keep me going…I just don’t want them to run out now…. I have been having Wellbeing Coaching with Jo for six weeks. I found her very professional, helpful and easy to talk to. She has helped me with my health and with my everyday life, which I don’t think I would have been able to achieve on my own. I would highly recommend Jo and having coaching. I was very surprised how much I have been able to achieve in six weeks! I came to see Jo because I wanted to stop smoking. After one session of Hypnosis with Jo I woke the next morning feeling totally alive and not even wanting a cigarette with my cup of tea! After 48 hours I didn’t even give smoking a thought. I feel great! Jo Tocher is a remarkable massage therapist. I consulted with Jo and enjoyed the most wonderful aromatherapy massage with a unique blend of oils that I needed to help me relax and unwind. The end result was a glorious feeling of relaxation and the most wonderful sleep. Jo has the perfect healing touch. I highly recommend her aromatherapy massage knowing that her abundant knowledge of what oils to use, will leave her clients feeling deeply relaxed, and reconnected to themselves again. I’ve been having massage with Jo for the last 3-4 months and they have been fabulous. I carry a lot of my stress in my neck and shoulders and being on the computer a great deal doesn’t help, this was my main reason for going. I wanted to feel less stressed in this area and to be able to move my head more easily. Jo has helped with that a great deal and she has done so much more. With her massage I have given myself a gift of her wonderful firm but gentle touch and also her guidance and experience and this has left me less stressed but also with a feeling of peace every time I leave her. We all need to look after ourselves so whether you have a tight neck like me or just need some pampering and time for you, this is a way that I recommend to get it. Just wanted to let you know how impressed I was with the Cardio Screening we did last week. As a Personal Trainer, I can’t emphasize enough the importance of having a healthy heart. Unfortunately, years of bad eating habits and lack of exercise mean that most people have a heart functioning too hard for their age and clogged up arteries. And some healthy/slim looking young people do suffer from heart attacks and strokes. With your device it’s just so easy to measure the performance of your heart, and it only takes a few minutes. Any supposedly healthy person would never otherwise get tested. I definitely would urge anyone at any age to get tested, and take the needed measures to get back on track to your normal healthy heart and arteries age. Be it by changing your diet, getting more active, and taking the required supplements.